Well, not quite ... but we did get 6 inches of snow today. It was a perfect day to stay in and scrap/stamp. Most days are perfect for crafting but today especially. I love time off at the holidays. Always relaxing playing with paper. My family all likes coffee - hot or iced, it's all good here. 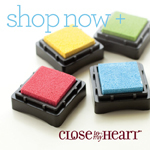 It's the first time I got out these cute CTMH Stamps but it won't be the last. The Sketch is from week #1 of the Verve Sketch Challenge over at SCS. 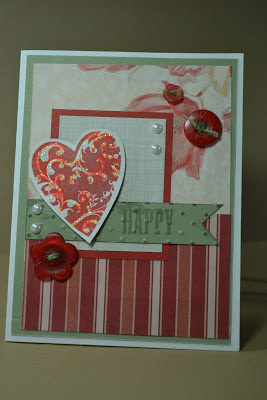 I used Gypsy and Sky for the Color Challenge at Color My Heart. Well not really but it's a nice thought, LOL! Spent some time scrappin' today. 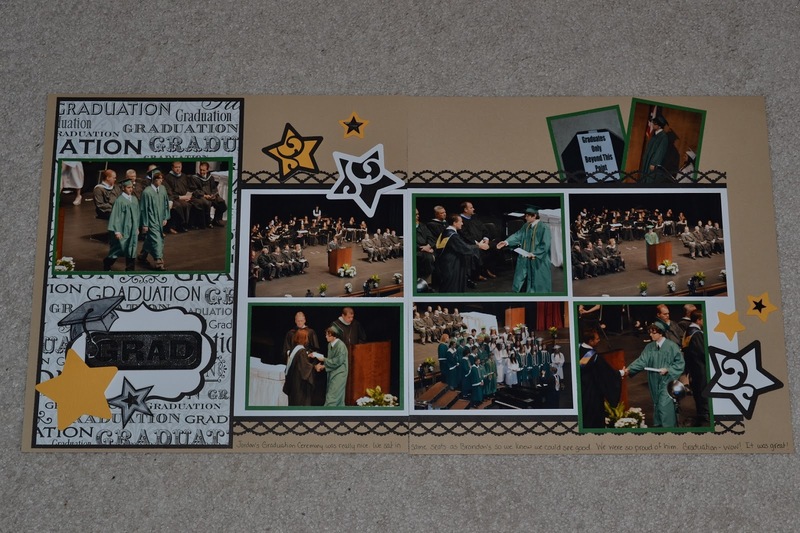 I have several pages for this year I'd love to get done. 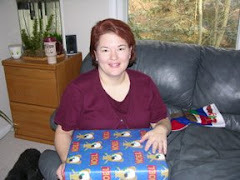 I'm pretty current so if I could get those done then I would just need to work on "older" pictures. I've just started sorting those .... It's fun to have Jord home and hear about college ... it's amazing for me to think he just graduated in June. 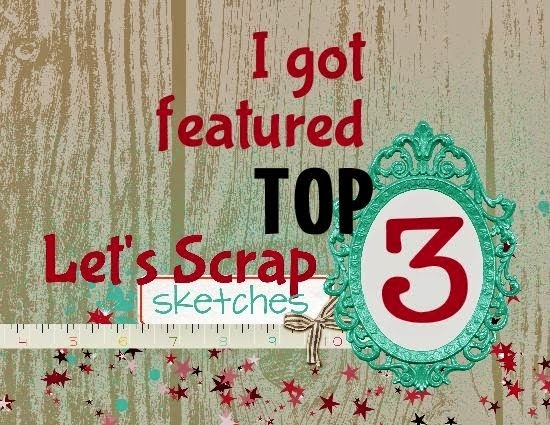 This GREAT Sketch is from Even More Scrapping (Cheryl)! Isn't it great for lots of photos! I'm sure I'll use it again for Christmas photos. I love the star cuts from CTMH Cricut Cart Art Philosophy. 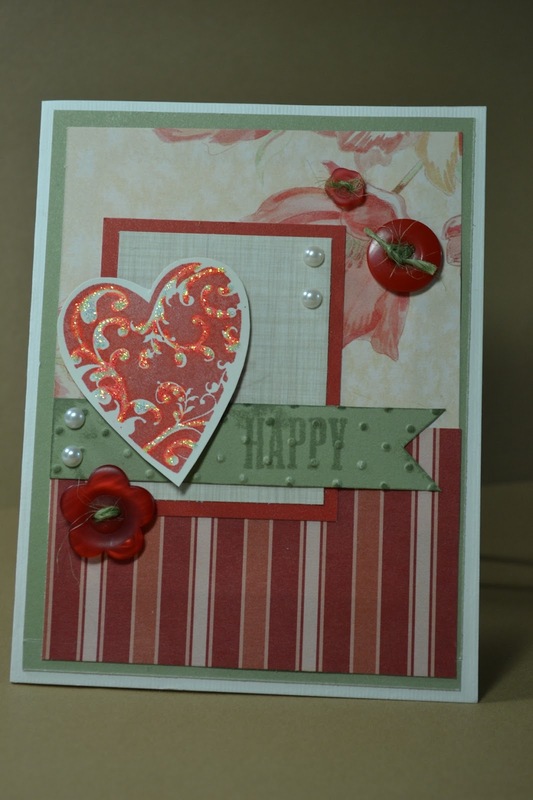 I was playing w/ an older CTMH Paper Pack - Elegant Bouquet. I love the colors and figured this was the perfect transition from Christmas to New Years/Valentines. I really like Valentines as I enjoy hearts. The sketch is from this week's Verve #4 Sketch over at SCS. I'm BACK ... yup! 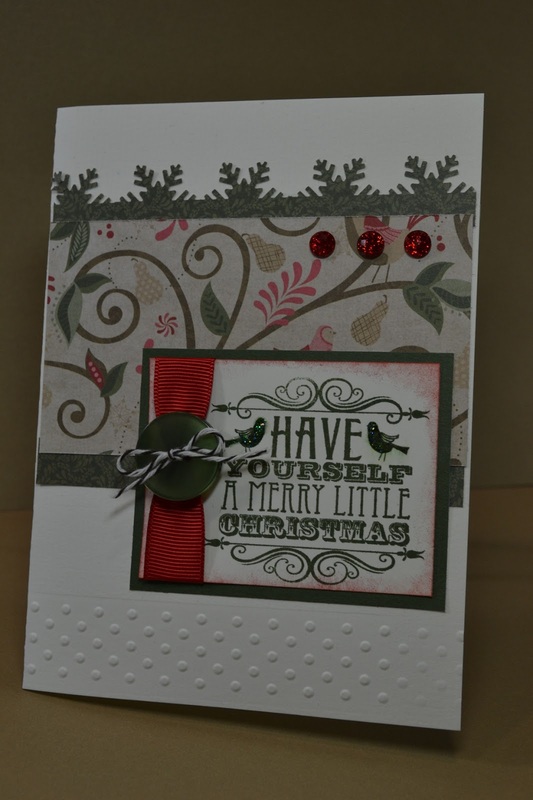 The Holiday MOJO is working now and my Christmas cards are coming together. This is actually one for next year as I ordered a bulk package of the CTMH Pear & Partridge Paper to use. It's SO Cute! I really like the birds and the colors. 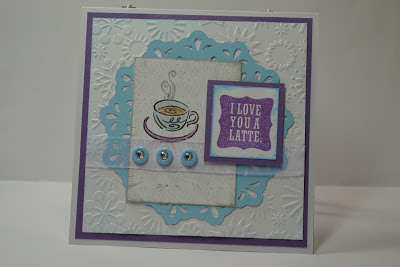 This card idea is from Patty [LaLatty Stamp N' Stuff]. 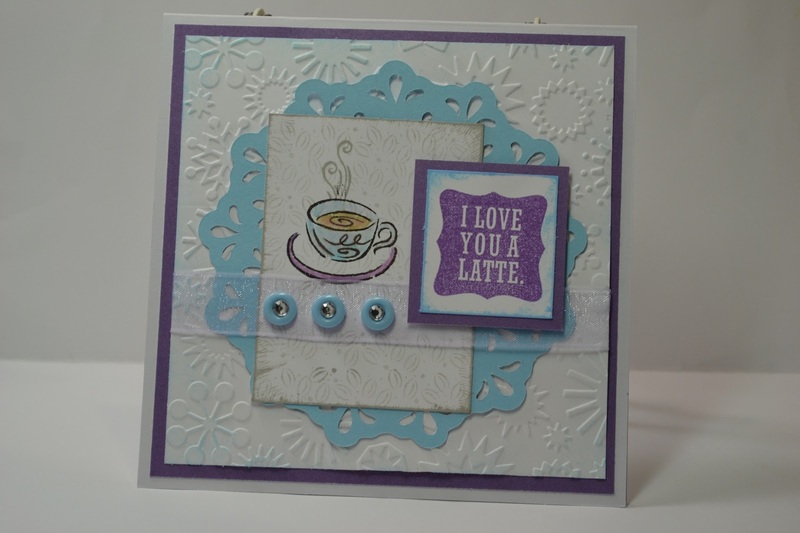 The idea came from our SCS Blog Challenge Group to pick a card from someone's March Blog posts and CASE. It worked perfectly for a holiday card and I love how it turned out. The punch at the top is a $2.99 EK Success Find at TJ Maxx, woohoo! I'm sure I'll be back with more holiday cards to share as I've found several cute sketches this week I hope to try. On the 9th Day of Christmas My True Love Gave to Me ... time to craft, LOL! 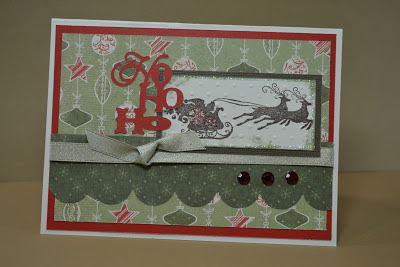 The Holiday Mojo was working well this weekend and I had a great time getting all of my Christmas Cards done. There was some GREAT Inspiration Sketches out as always! This card was inspired by the H2H Sketch Challege for this week. It's been SO long since I've had the chance to play for some of the challenges it felt good to be back! I've been struggling these last few months to come up with a Christmas Card that I like and want to send. 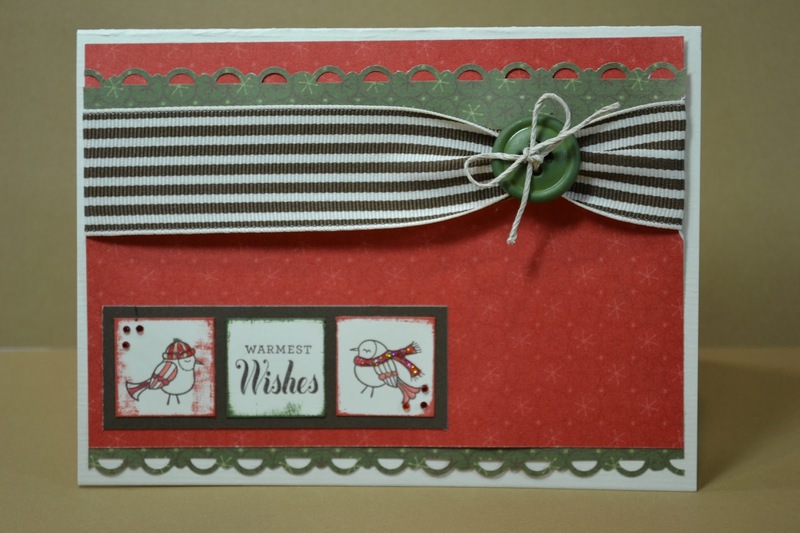 I found one design and made 10 of those but I usually like to have 2-3 designs and usually send between 25-30 cards. This year, I had begun to worry because I just couldn't seem to come up with an idea. 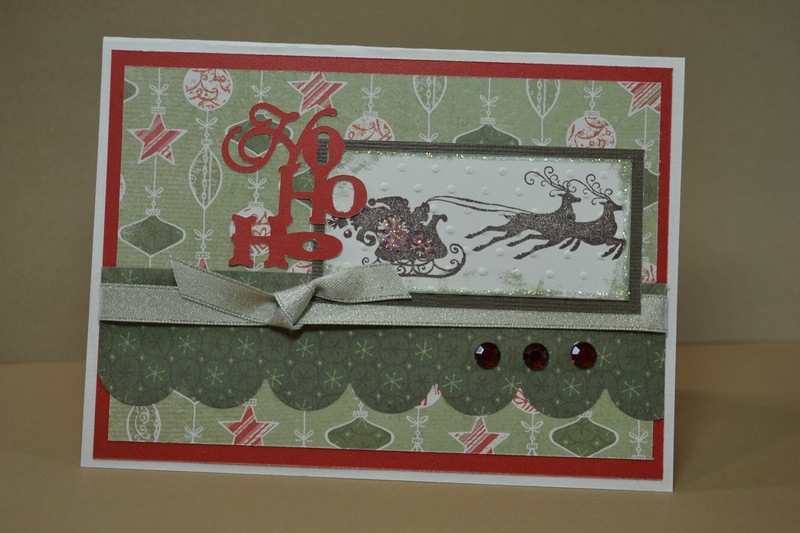 What I learned is that I'm a "holiday Christmas Card" Stamper! LOL! By that I mean, once it hit Thanksgiving and my Holiday Mojo was working, I seemed to find a lot more ideas I liked. I finished up both my Mom and my Christmas cards and I'm pleased with both. I just finished 12 of these and they'll be going out this week. I also have more ideas for next year cards that I'll probably try to get done during this month so I'm good to go now that I know the "secret". This fun paper is CTMH 2011 Holiday paper Mistletoe. 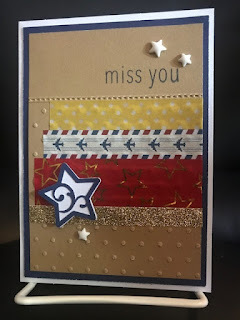 I really miss the Creative Basics Packs they used to do with Ribbon but now this year they did a card Workshop on the Go which was similar. The sentiment - Ho, Ho, Ho! 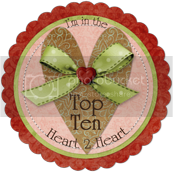 - was cut from the CTMH Cricut Artiste. More to come! The sketch is from this week's MOJO Monday #270. 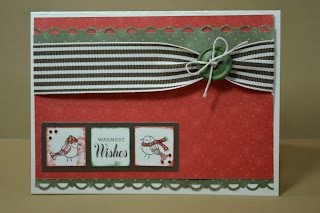 It's also for the H2H Challenge Week #3 of the Christmas Challenge.